This trip is offered in conjunction with Kittyhawk Ski Club. 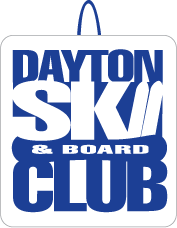 Dayton Ski & Board Club members do not have to become members of Kittyhawk. We have a reciprocal agreement with all OVSC clubs. Boyne Highlands with lodging at the Highlands Inn. The trip includes 3 great breakfast buffets (the good one with the omelet chef), 2 dinners ordered off the menu, lift tickets, and all lodging and transportation. The bus will leave from the Hope Hotel in Fairborn, OH. We have permission to leave our cars in the parking lot. Day 2 includes lift tickets and transportation to another ski area (Usually Boyne Mountain) for the day if you want to go! • Breakfast and dinner (great food!) Includes buffet dinner when we get to the lodge on Sunday. • Leave Hope Hotel on Sunday Morning, Jan 13 at 11 am sharp! Returning Wednesday night, Jan 16. • The return trip includes a box lunch. We depart Boyne at approximately 1:30 pm. • We usually get in to Dayton at the Hope Hotel @ 10 pm if there are no delays. • Bus includes adult and non-alcoholic beverages, snacks. You are encouraged to bring food for the bus trip up. We will not stop to purchase food.